Our North Fulton Mayors and Fulton County Commissioners showed their support for Meals on Wheels and North Fulton seniors during Community Champions Week. All delivered a meal to an older adult in their community or helped to pack out meals for delivery. As you can see from the photographs below, a great time was had by all. Throughout the month, Meals on Wheels providers like Senior Services North Fulton, celebrate March for Meals in their local communities. 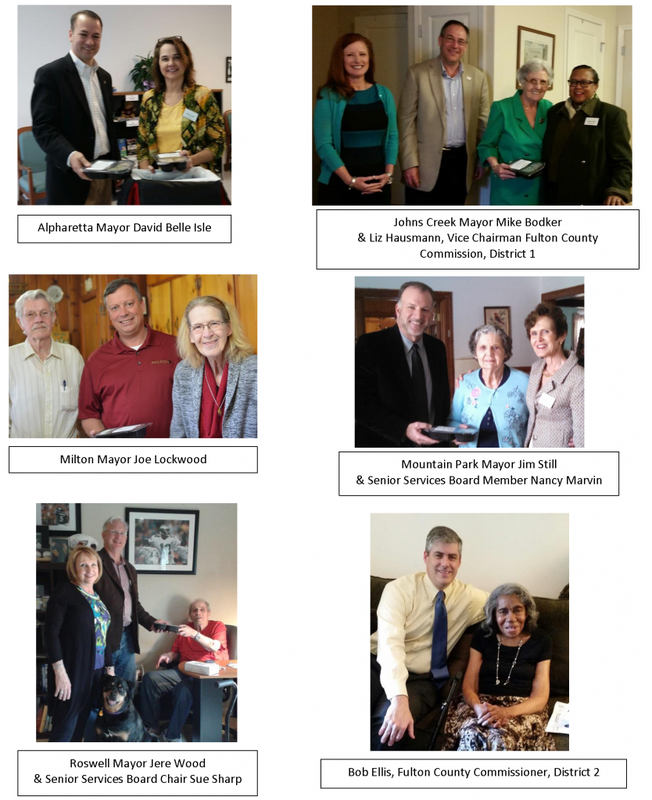 Community Champions Week is a component of March for Meals that utilizes the engagement of prominent figures in the community to help bring attention to the cause. March for Meals is a nationwide celebration during the month of March, organized by Meals on Wheels America for the last 13 years. It seeks to raise awareness for not only the vital network of Meals on Wheels programs operating in virtually every community across the country, but also the needs of the seniors they collectively serve.